Mitch Moreland was the only Rangers hitter not named Prince Fielder carrying his weight in the lineup before a bum elbow finally got the best of him. 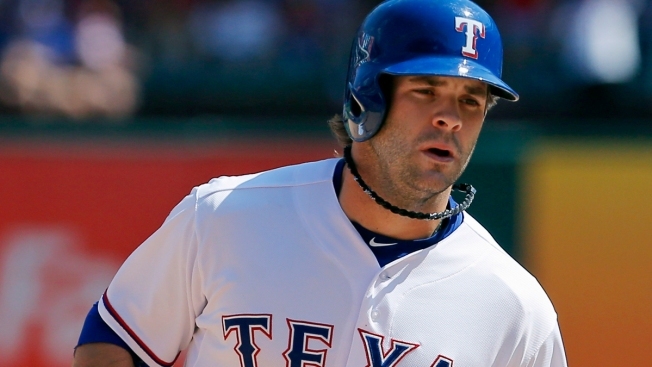 Luckily for the Rangers, the normally catastrophic injury news the Rangers have grown so accustomed to over the past couple of years didn't come to fruition with Moreland, who instead need just a minor arthroscopic procedure to clean out some floating bone chips. Now, after a week on the disabled list, Moreland began to throw on Monday and is eligible to come off the DL next week when the Rangers host Kansas City. Chances are, he'll miss a little more time than that, but it shouldn't be much. Moreland had essentially taken over primary first baseman duties from Fielder, which is a good thing because Moreland is a plus defender at first while Fielder is not, even though he's paid like one. So it'll be interesting to see how long it takes before Moreland is ready to come back full tilt and play in the field.